This surely hadn't happened in a while. With a job interview last week and Thanks Giving this week didn't have time to plan out a post. In order to not have a gap I will post this picture. I went a got myself a third lamp to try some 3 point lighting. So I played a bit with that and this picture is one of the many I took. Even if it's only one picture I thought I should commemorate Yui's birthday. 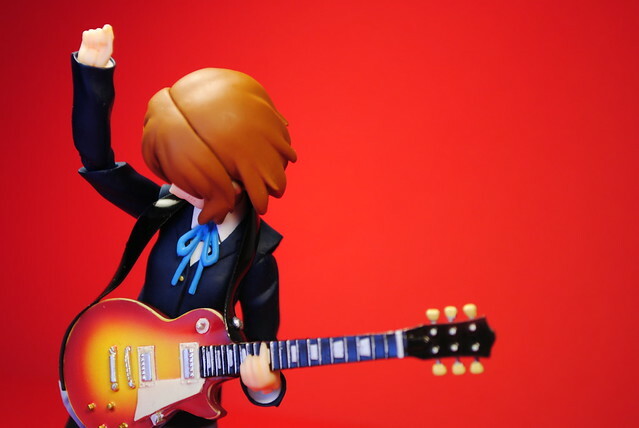 Yui being my favorite K-On! girl and all. Although I must say I find it odd to do so, never been one to think much of character birthdays.